Please inquire about the desired product. 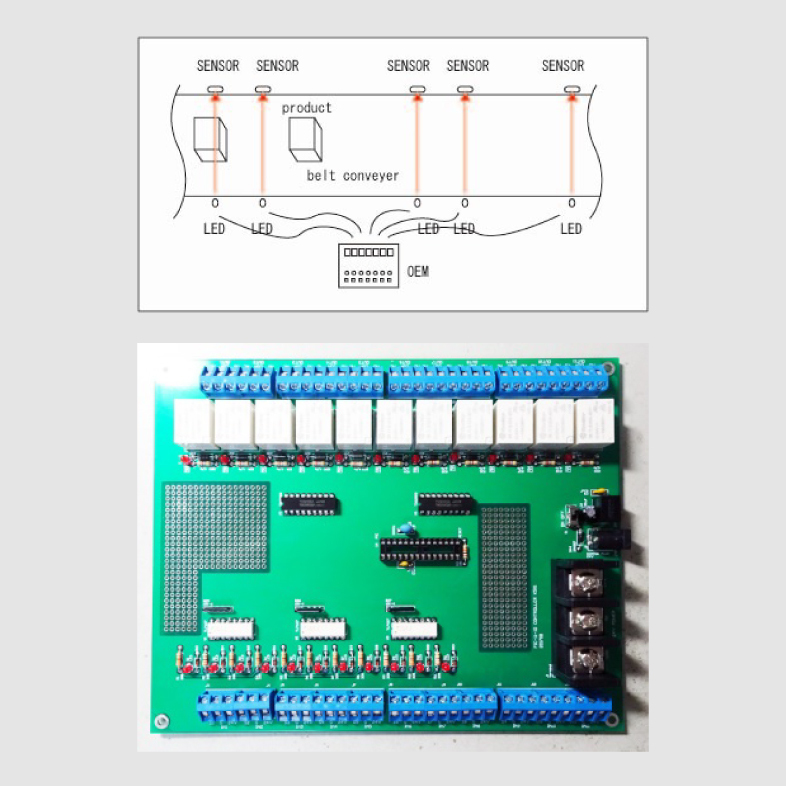 Since most electronic kits use transistors with resistors and capacitors, it can be difficult or impractical to change the function for different applications. At MYCOMKITS DOT COM we use a microcontroller as a programmable electronic tool kit. It can be programmed for such functions as detecting a sound, activating LEDs, detecting a person, and sounding an alarm. This approach simplifies the kit and keeps the number of parts small. 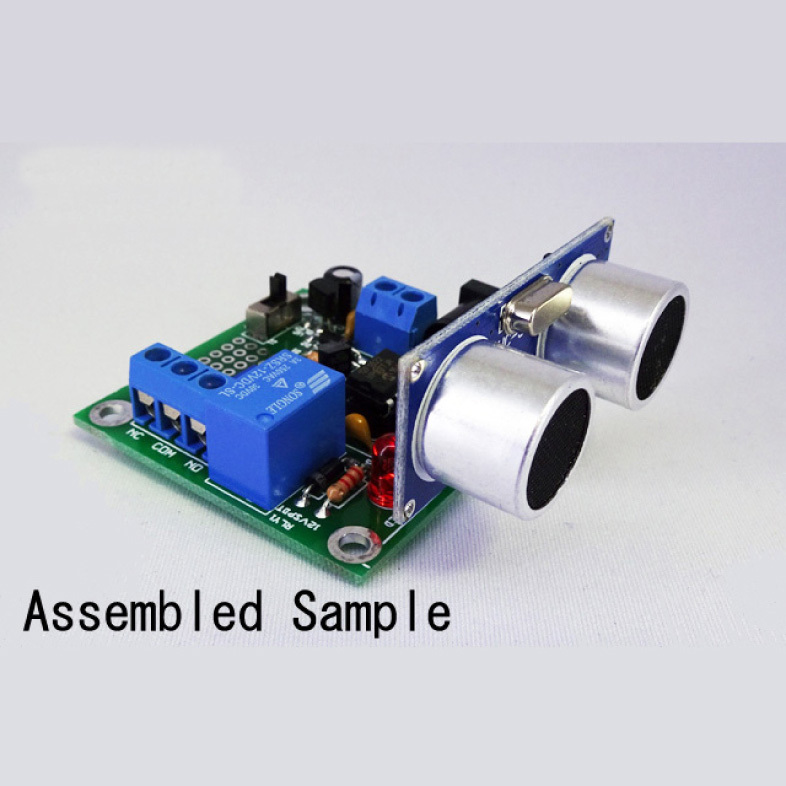 The result is many electronic kits designed for real life applications. 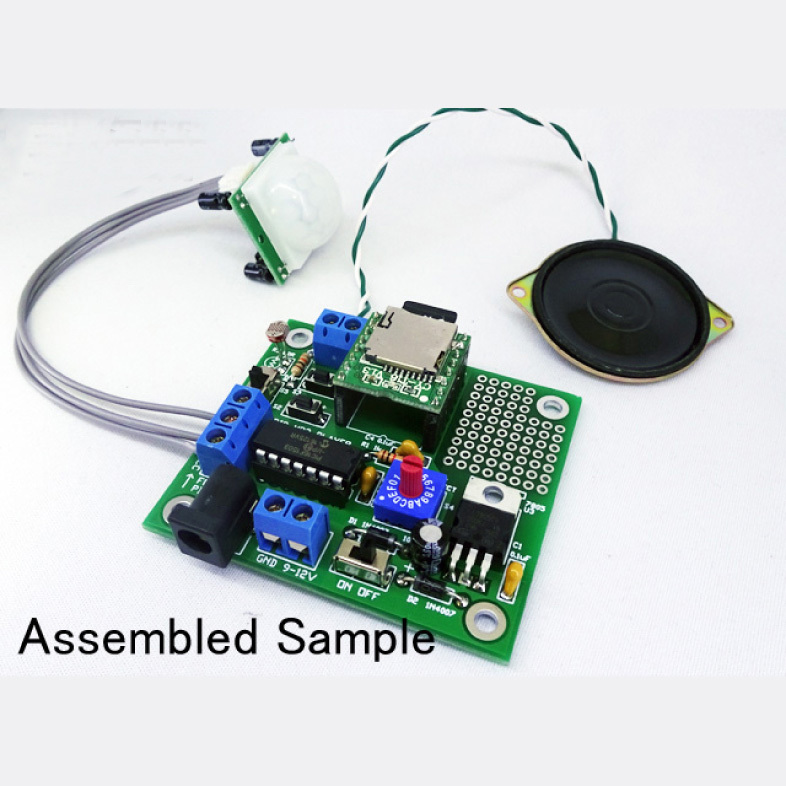 We have been using this microcontroller tool kit approach for over nine years since founding and we have designed and produced more than 100 kinds of fun, pleasant and useful electronic kits. We modified the sound sensor “MK-305B” which detects a sound and drives a relay to sound an alarm. Now it sounds the alarm only when it detects three or more sounds within a set time. And the microcontroller program also allows it to not detect the alarm sound. This was possible because it is microcontroller controlled. This change resolved customer problems with false alarms. 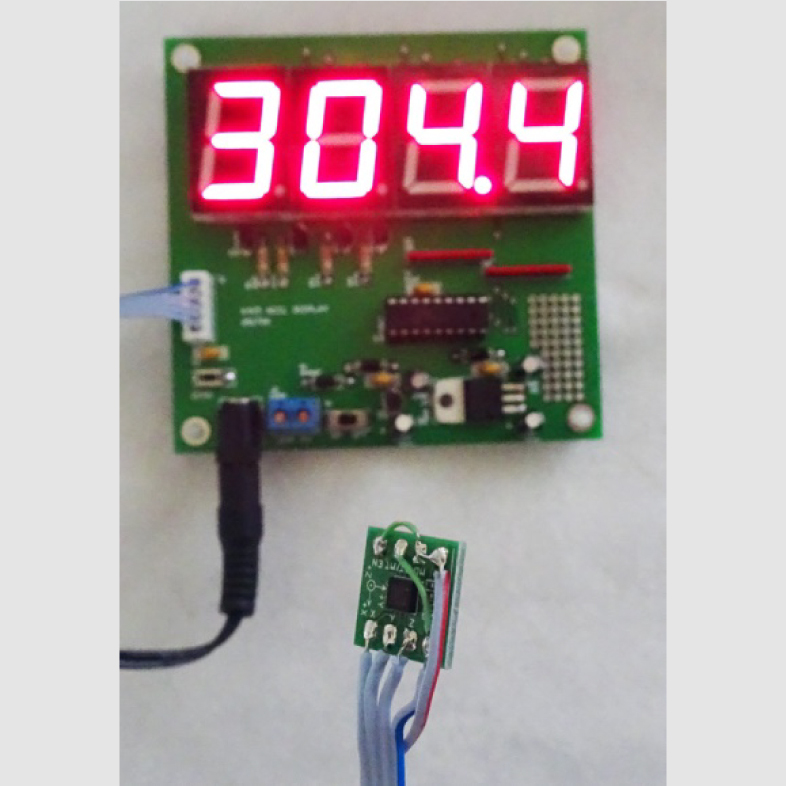 We modified the weight sensor “MK-326” which drives relays when it senses weight above or below a set value. We used three modified units to make a device that lights a LED when the weight reaches a set value. The resulting module constantly monitors and measures the weight as it decreases. The module is low in cost and easy to install. One application for this is a coffee beverage machine. The traditional PIR motion sensor often used for crime prevention light could not detect stillness. 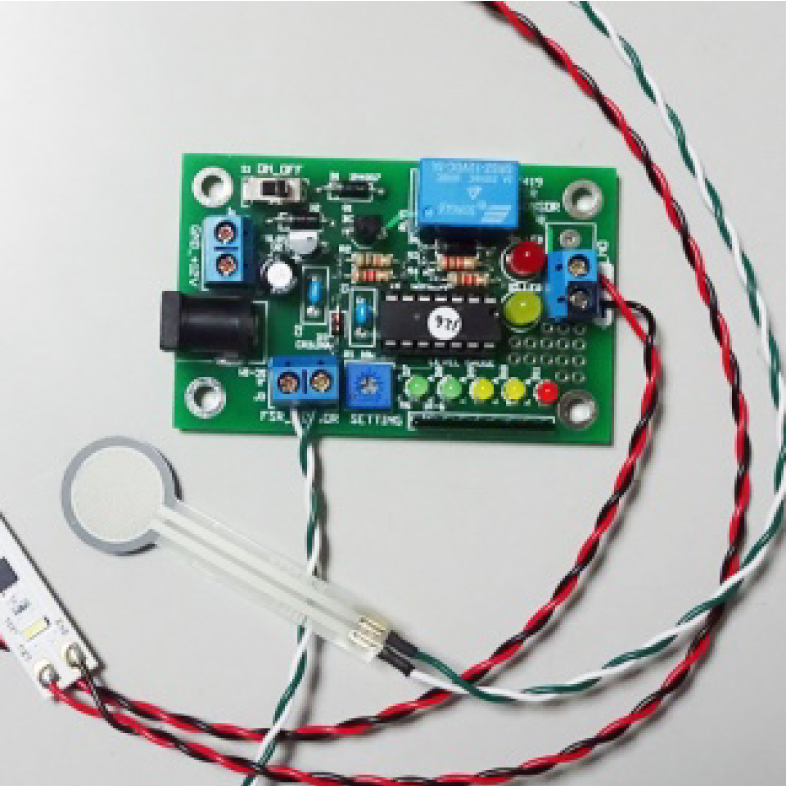 So, our “MK-301B ultrasonics sensor kit “uses ultrasonic sensor to solve the drawback. We changed the sensor from traditional PIR motion sensor to an ultrasonic sensor. This module can now also be used in public toilets to detect “in use”. This “MK-158” module uses an infrared sensor to detect large mammals such as humans, bears or wolves approaching a field or private house. It can then send an alarm or use an MP3 player to produce sounds that would repel the intruder. In this MP3 player application the speaker should be replaced with a waterproof type and the module must be put into a protective case. It can be very expensive for a company to develop electronic devices for their own use only, especially when only some companies and individuals can use them. Since manufacturers need technicians to design and develop only one unit they will normally only do this for relatively large and expensive special purpose devices. 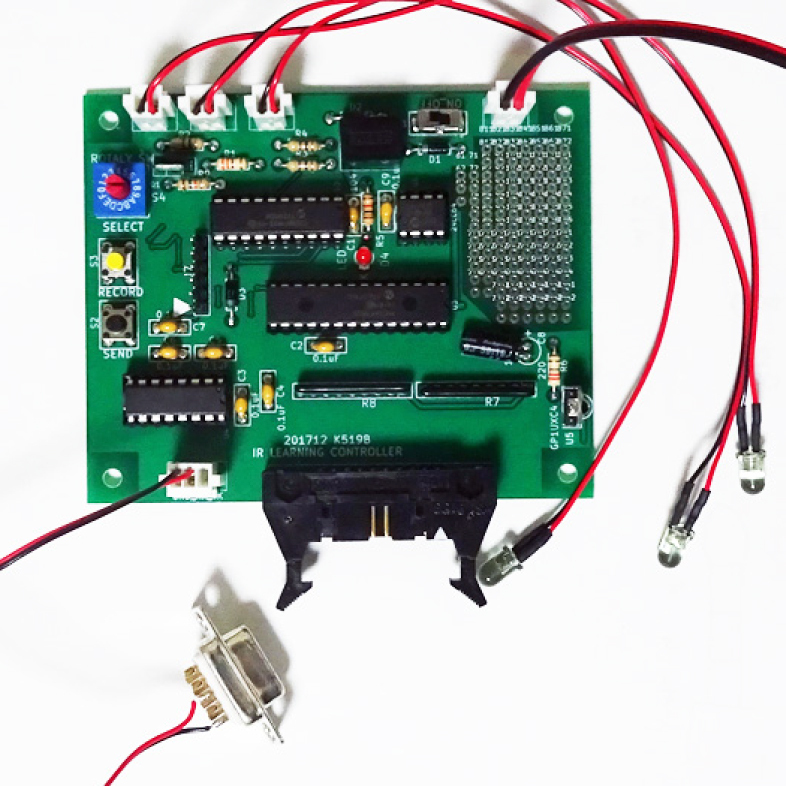 MICOMKITS DOT COM is a group of engineers especially familiar with microcontroller control elements, circuit design and C language programming. Building on this capability we design, manufacture and sell small relatively inexpensive electronic devices using microcontrollers for individuals and enterprises. 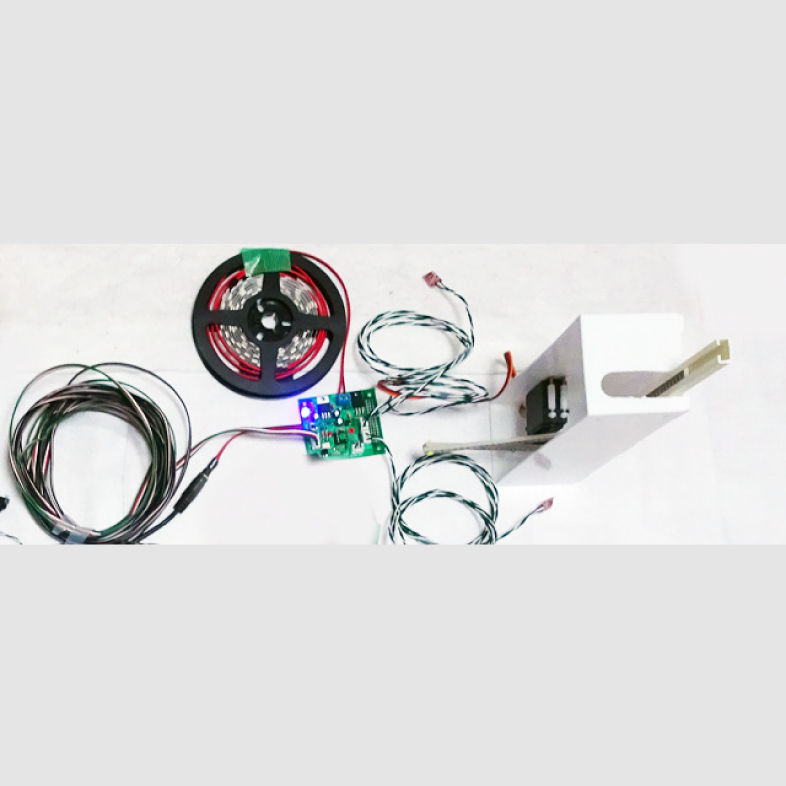 We designed and manufactured eight laser distance measuring sensor devices with relays for detecting the position of objects on a conveyor production line of a major automobile manufacturer. We designed and manufactured for a major TV company a digital display device used for spy dramas and a motor drive device with touch sensor used in a quiz show. We designed and supplied a device that displays the manufacturing equipment tilt angle for a maker of large equipment. The module generates an alarm when it exceeds a set angle. 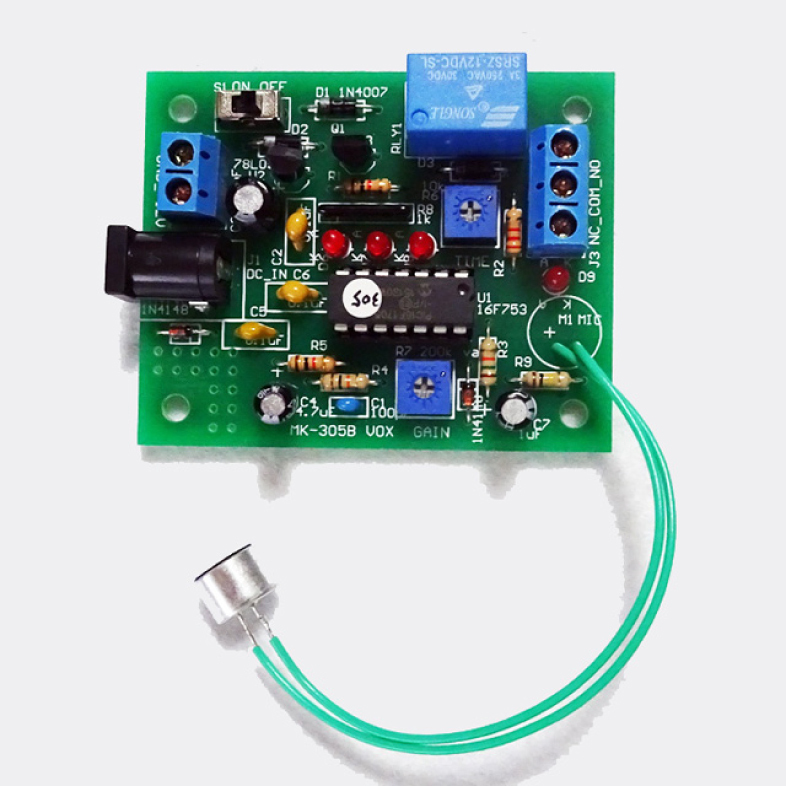 We designed and manufactured an infrared remote control signal device that would activate by push button or serial signal.This can learn and record any IR command code signal that are generated from your TV or air conditioner wireless controller. Then you can control them by one special controller with push switch and PC. Copyright © cnet All Rights Reserved.